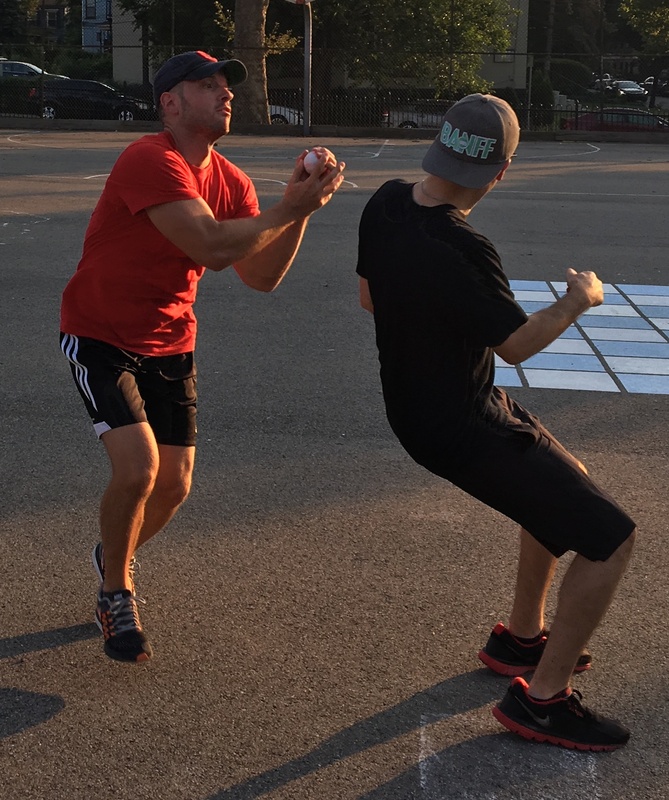 In one of the most lopsided games in the history of the EWL, Questionable Outfit relentlessly pounded Eastbound & Dahn, crushing the ball at-bat after at-bat and capitalizing on countless fielding errors in a 25-1 victory that was out of hand immediately. Mike went a perfect 10-for-10, perhaps the greatest single game performance in league history, his teammate, Bob, went 9-for-10, and Mike, Bob, and Tom became the first three teammates in EWL history to hit for the cycle in one game. Tom pitched a complete game, allowing one run on four hits, as Eastbound & Dahn hit their low point as an EWL franchise and Questionable Outfit sealed their position as the team to beat in 2017. Christian started on the mound for Eastbound & Dahn, and he would end the game in the record books. He gave up a single to Bob, the game’s first batter, and two hitters later, Mike hit an RBI triple, his first of ten hits, to make the score 1-0. Christian then retired Miller to end the inning. Eastbound & Dahn showed a glimpse of life in the bottom of the first when Nate O led off with a solo homer to left-center, tying the game at 1-1. Tom retired the next two batters, ending the inning, and the game would go downhill from there. Questionable Outfit would score nine runs in the top of the second, and would lead 10-1 by the end of the inning. Bob doubled to lead off the inning, and he scored on Tom’s RBI single to make the score 2-1. Mike singled to put runners on the corners, and two batters later, Bob singled to score Tom, and the score was 3-1. Tom then singled to score Mike, making the score 4-1, and Mike cleared the bases with an RBI double that put Questionable ahead 6-1. Miller then doubled to score Mike, pushing the score to 7-1, and Bob followed with a two-run homer, his third hit of the inning, to extend the lead to 9-1. Tom then tripled for his third hit of the inning, and he scored when Mike doubled for his third hit of the inning, making the score 10-1. Christian finally escaped the inning when Miller grounded out to center for the second out. Adam singled with one out in the bottom of the second, but Eastbound couldn’t advance him, as Tom retired BK to strand the runner and end the inning. Questionable Outfit would continue to pour it on in the top of the third, scoring six more runs to extend their lead to 16-1. Bob led off the inning with a solo homer, making the score 11-1. Tom followed with a double, and he moved to third when Mike singled, putting runners on the corners. After Miller flew out to the mound, Bob hit an RBI triple, scoring both runners to make the score 13-1. Tom then doubled, scoring Bob from third, and the score was 14-1. Mike homered to complete the cycle for the second game in a row, and Questionable led 16-1. Miller then grounded out to left for the second out of the inning. Tom fanned Nate O for the first out in the bottom of the third, and after Christian doubled, Tom stranded him, retiring Helal to end the inning. Questionable scored six runs once again in the top of fourth, and they led 22-1 following the fourth inning. Bob tripled to start the inning, and he scored when Tom grounded out to left for the first out of the inning, making the score 17-1. Mike then tripled, and he scored on a Miller RBI double, which pushed the score to 18-1. Bob doubled, scoring Miller, to make the score 19-1. Tom then cleared the bases with a two-run homer, making him the third Questionable Outfit player in the game to hit for the cycle, and the score was 21-1. Mike then hit a solo homer to make the score 22-1, and the inning finally ended when Miller flew out to the mound for the second out of the inning. Adam tripled with one out in the bottom of the fourth, but Eastbound & Dahn couldn’t crack into the lead, as Tom retired BK to strand the runner and end the inning. Questionable Outfit added three more runs in the top of the fifth. Bob and Tom each singled, and Mike drove them both in with a three-run shot to left, his second homer of the game. Christian retired the next two batters to end the inning, and Questionable Outfit led 25-1. Tom retired the side in order in the bottom of the fifth. After allowing twenty-five runs in the first five innings, Christian allowed two hits to Tom and Mike in the top of the sixth, but no runs, and Eastbound & Dahn would head into the bottom of the sixth trailing by two dozen runs. 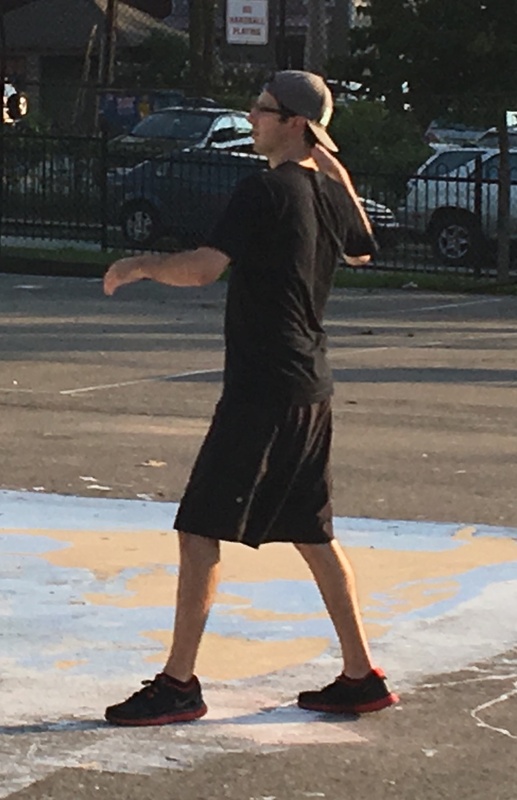 Tom ended the game quickly in the bottom half of the inning, retiring the side in order, giving Questionable Outfit the win. 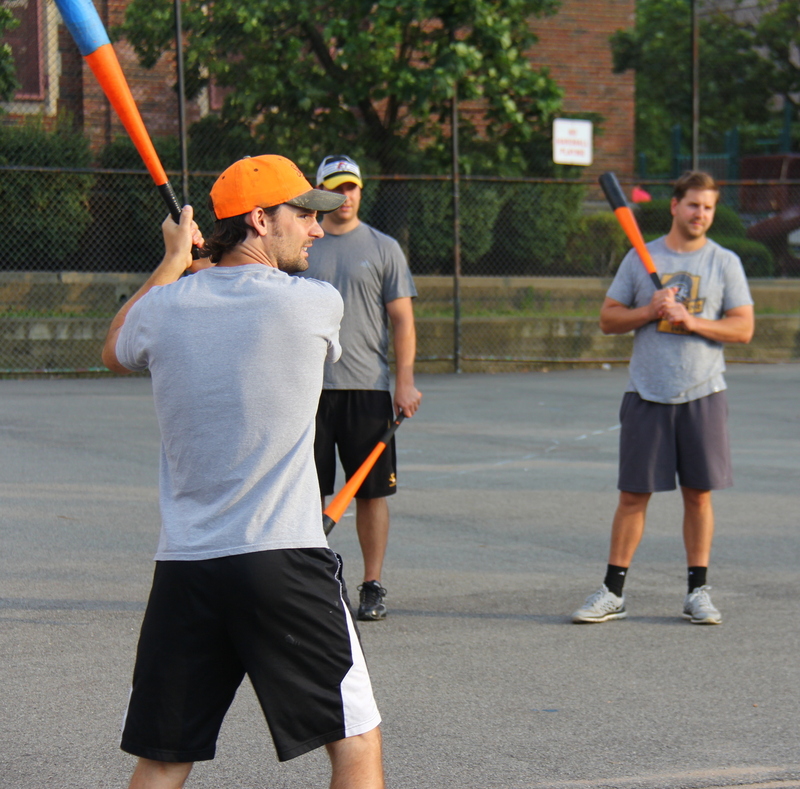 The win moved Questionable to 15-3 on the season, and the loss dropped Eastbound & Dahn to 2-16. – Tom pitched the complete game win for Questionable Outfit, allowing one run on four hits and striking out one in six innings pitched. – Christian pitched the complete game loss for Eastbound & Dahn, and entered the record book for most runs and hits allowed in a game. He gave up twenty-five runs on twenty-nine hits in six innings. – Mike led Questionable Outfit at the plate, going a perfect 10-for-10 with two singles, four doubles, two triples, two home runs, seven runs scored, and ten RBI, also hitting for the cycle. – Bob also hit for the cycle, going 9-for-10 with three singles, two doubles, two triples, two home runs, nine runs scored, and seven RBI. – Tom hit for the cycle as well, going 8-for-10 with two singles, four doubles, a triple, a home run, seven runs scored, and six RBI. – Adam led Eastbound & Dahn on offense, going 2-for-2 with a single and a triple. Erich’s two solo home runs were the difference in Cookies & Cream’s 2-1 win over the Ham Slams, and Dinger pitched a complete game, allowing only one run on six hits, a third inning home run to Dustin. The win gave Cookies & Cream a 4-3 edge in the seven game season series between the teams, which could play an important factor in playoff seeding. 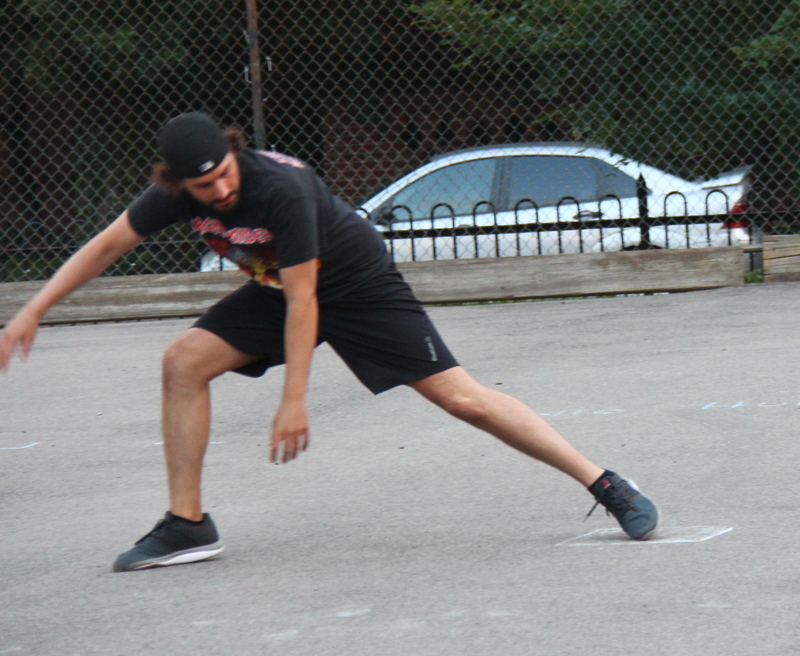 Dan took the mound for the Ham Slams, and he rolled through the top of the first, retiring the side in order. Dinger allowed a one-out triple to Levi Sanders in the bottom of the first, but he stranded the runner, retiring Dustin to end the inning with the game scoreless. Joey led off the top of the second with a double, but Cookies couldn’t plate him, as Dan retired Dinger and Jordan to strand the runner and end the inning. Dinger matched him in the bottom half, retiring the Ham Slams in order. Cookies got on the board in the top of the third when Erich led off the inning with a solo homer to right, making the score 1-0. Joey followed with a double, and it looked as if Cookies would string together some hits. But Dan buckled down, retiring Dinger and Jordan to end the inning while only allowing a single run. The Ham Slams even things up in the bottom of the third when Dustin hit a one-out solo homer to left-center, tying the game at 1-1. They couldn’t take the lead, as Dinger retired Steve to end the inning. Erich started the top of the fourth with a single, but he wouldn’t advance past first, as Dan sent down Joey and Dinger, and the score remained 1-1. Levi Sanders hit his second triple of the game with one out in the bottom of the fourth, but the Slams couldn’t pull ahead, as Dinger retired Dustin to strand him, maintaining the tie. Cookies would pull ahead again in the top of the fifth. With one out, Erich launched his second solo shot of the game, a towering bomb to right that put Cookies & Cream ahead 2-1. The Slams looked like they’d bounce back again in the bottom of the fifth. Steve led off with a double, and he moved to third on a Dan single, putting runners on the corners and no outs. 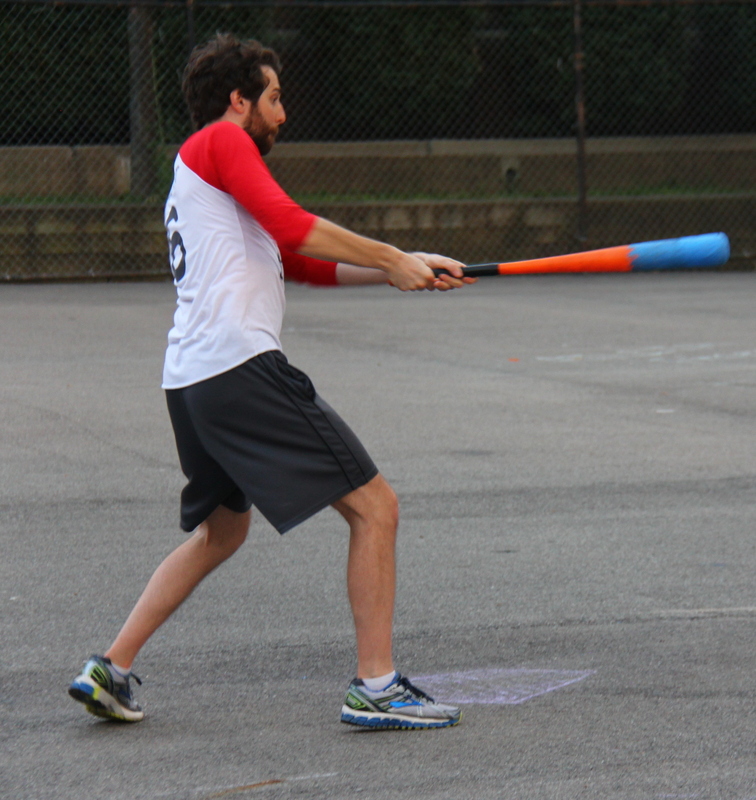 The Ham Slams had the tying run in scoring position and the lead run on base, but they couldn’t capitalize. Dinger got Sanders to fly out to shallow right, and Dustin flew out to deep left, stranding both runners, and the Slams trailed 2-1. Dan sent Cookies & Cream down in order in the top of the sixth, and the Ham Slams needed a run to extend the game. With one out, Dan doubled, putting the tying run in scoring position. But yet again, the Slams stranded a runner, as Dinger retired Sanders for the second out, ending the game and giving Cookies & Cream the 2-1 win. 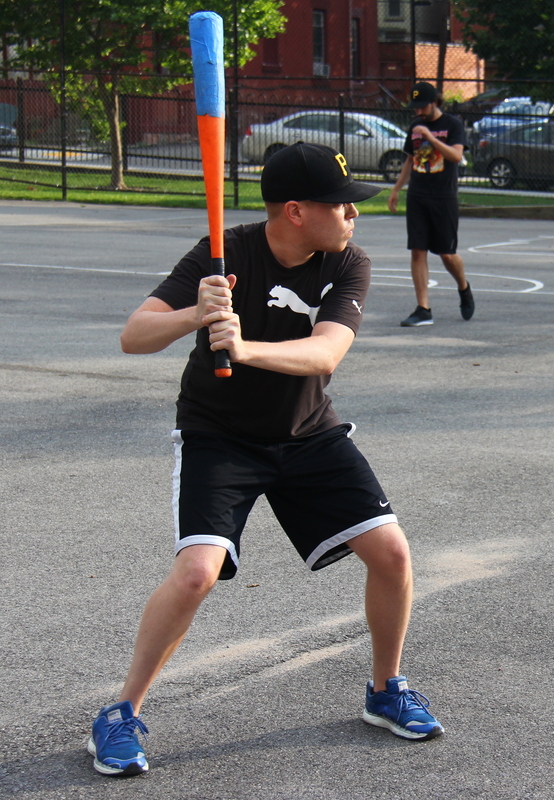 The win moved Cookies & Cream to 10-8 on the season, and the loss dropped the Ham Slams to 9-9. – Dinger pitched the complete game win for Cookies & Cream, allowing only one run on six hits in six innings pitched. 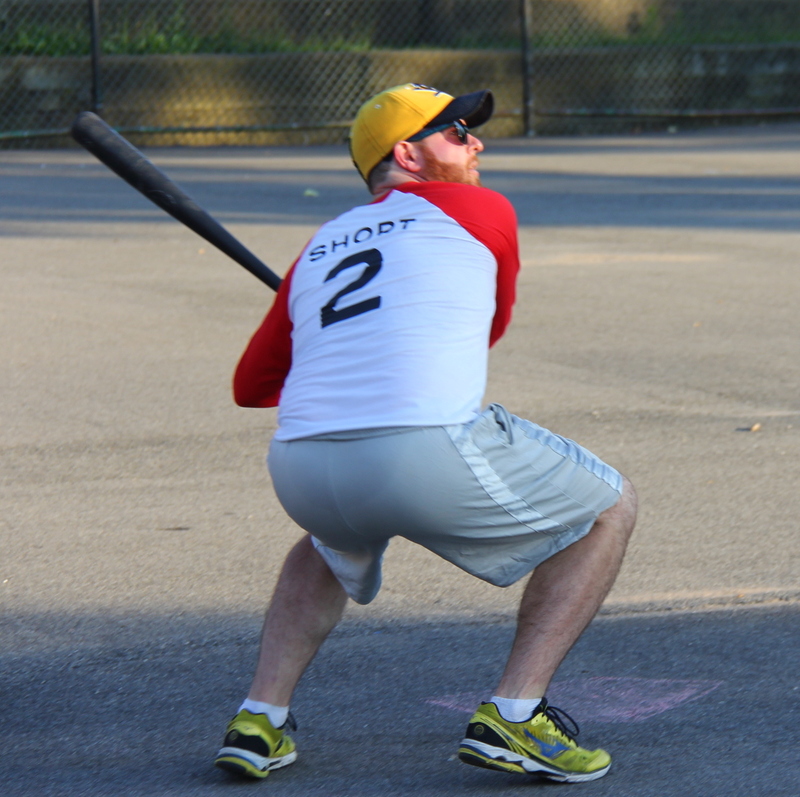 – Dan took the loss for the Ham Slams, giving up two runs on five hits in six innings. – Erich led Cookies & Cream on offense, going 3-for-4 with a single, two home runs, two runs scored, and two RBI. – Joey had the only other hits for Cookies & Cream, going 2-for-4 with two doubles. – Levi Sanders led the Ham Slams at the plate, going 2-for-5 with two triples. Jordan was out one away from pitching a perfect game, allowing only one hit in a shutout win, retiring the first eleven batters he faced. He also went 4-for-7 at the plate with four doubles. 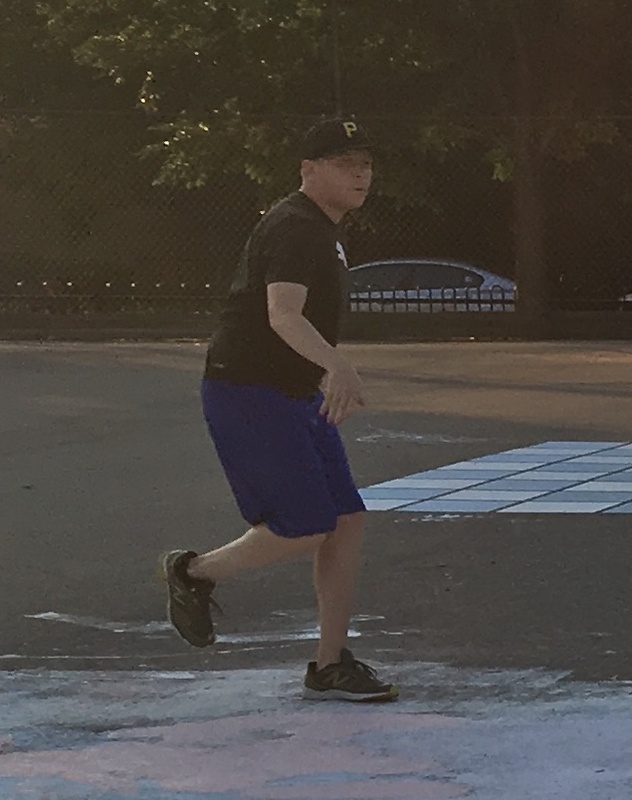 Jordan was dominant on the mound, allowing only a single hit after retiring the games first eleven batters, finishing just one out shy of a perfect game, as Cookies & Cream easily defeated Eastbound & Dahn 9-0. Jordan had all the run support that he needed from the Cookies & Cream offense, as he doubled four times himself, and Joey hit for the cycle, going 5-for-6 with four RBI. BK started on the mound for Eastbound, and he retired the side in order in the top of the first, sending Jordan and Erich down consecutively. It would be his last perfect inning. Jordan matched him in the bottom of the first, retiring the first two of what would be eleven straight batters retired. Dinger singled with one out in the top of the second, but BK remained strong through two innings, retiring Jordan to strand the runner and end the inning. Jordan once again sent two Eastbound batters down in order in the bottom of the inning. Cookies & Cream would get on the board in the top of the third. Erich singled to lead off, and Joey followed with a two-run homer to left, making the score 2-0. Two batters later Jordan doubled, but BK would only allow two runs, retiring Erich to strand the runner and end the inning. Jordan would send Nate C and BK down in order in the bottom of the third. Cookies extended their lead in the top of the fourth. Joey led off with a double, and he scored when Dinger followed with a double, making the Cookies lead 3-0. Jordan then doubled to score Dinger, and the score was 4-0. Erich singled to put runners on the corners, and Joey cleared the bases with an RBI triple, putting Cookies ahead 6-0. Dinger hit a sac fly to score Joey from third, pushing the lead to 7-0. Jordan followed with his third double of the game, but he was once again stranded at second, as BK retired Erich to end the inning after allowing five runs. Jordan rolled through the bottom of the fourth, retiring his seventh and eighth straight hitters. Joey doubled to start the top of the fifth, and he moved to third on Dinger’s second consecutive sac fly. BK would escape the inning without damage, as he retired Jordan to strand Joey at third, ending the inning. Jordan retired Kyle and Adam in order in the bottom of the fifth, and he was one inning away from a perfect game. Cookies would add a few insurance runs in the sixth. Erich led off the inning with a solo shot, making the score 8-0. Joey then singled, completing the cycle, and he moved to third when Dinger grounded out for the first out of the inning. Jordan then doubled for the fourth time in the game, scoring Joey, and pushing the Cookies lead to 9-0. Christian, who had entered the game to replace BK, retired Erich to end the inning, and Eastbound trailed by nine. Jordan watches as BK’s lazy fly ball falls into right field between Erich and Dinger for a single, breaking up the no hitter in the bottom of the sixth. Jordan retired Nate C to start the bottom of the sixth, and he was one out away from history. BK came to the plate, and he spoiled it. He hit a looping fly ball to right-center that fell in, and he made it first safely for a single. After retiring eleven straight hitters to start the game, Jordan allowed a single to what would have been the final batter of the game, ending his no-hit bid. Jordan would retire Nate, the next batter, to end the inning and the game. Despite allowing a hit, he completed the shutout, as Cookies & Cream won 9-0. 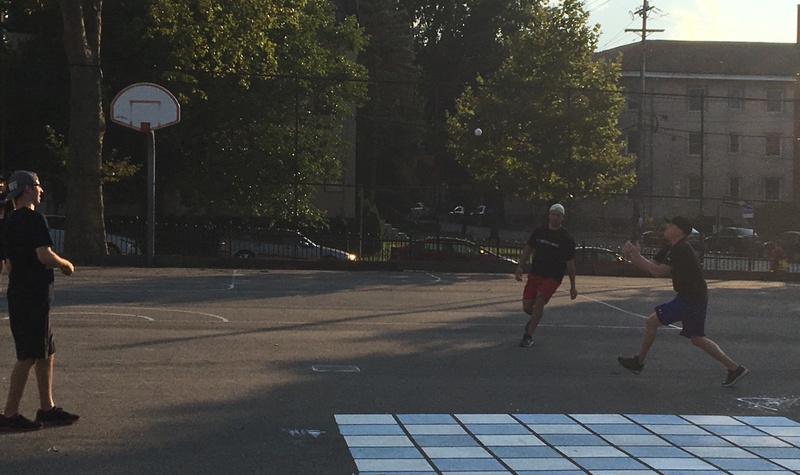 The win moved Cookies & Cream to 9-8 on the year, and the loss dropped Eastbound & Dahn to 2-15 for the season. – Jordan pitched the complete game shutout win for Cookies & Cream, allowing only one hit. – BK took the loss for Eastbound, giving up seven runs on eleven hits in five innings. – Christian pitched one inning of relief, allowing two runs on three hits. – Joey led Cookies & Cream at the plate, going 5-for-6 with a single, two doubles, a triple, a home run, four runs scored, and four RBI. – BK had Eastbound & Dahns only hit, a single. Mike went a perfect 5-for-5 and hit for the cycle, and Miller was firmly in control on the mound, allowing only one run on four hits, as Questionable Outfit beat the Ham Slams 6-1 to extend their lead in the EWL season standings. Miller retired the Ham Slams in order in the top of the first, and his offense got on the board in the bottom half of the inning. Bob singled to lead off the game, and two batters later, Mike doubled to score Bob, making the score 1-0. Levi Sanders (filling in for Josh, out on vacation) tripled in the top of the second, but the Ham Slams couldn’t tie the game, as Miller retired Dan to strand the runner and end the inning. Dustin, the Ham Slams’ starter, rolled through the bottom of the second, retiring Bob and Tom consecutively. Miller continued to pitch effectively in the third, sending Steve and Dustin down in order. Questionable Outfit would open up a sizable lead in the bottom of the third. Mike led off the inning with a solo homer, putt Questionable ahead 2-0. Miller doubled, and he scored from second on a Bob groundout to center, making the score 3-0. Tom followed with a solo blast, extending the Questionable lead to 4-0. Mike then tripled, and he scored when Miller followed with an RBI triple, pushing the score to 5-0. Bob hit an RBI single to score Miller from third, putting Questionable ahead 6-0, but he was caught trying to extend the hit into a double, ending the inning. Down six runs, the Slams couldn’t cut into the Questionable lead in the fourth. Sanders led off the inning with a single, but Miller continued to strand runners for Questionable, retiring Dan and Steve to end the inning. Tom and Mike each singled to start the bottom of the fourth (giving Mike the cycle in four at-bats), and it looked as if Questionable Outfit would open up a huge lead. Dustin buckled down, however, retiring Miller and Bob to avoid further damage, stranding two runners and ending the inning. The Ham Slams continued to struggle at the plate in the top of the fifth. 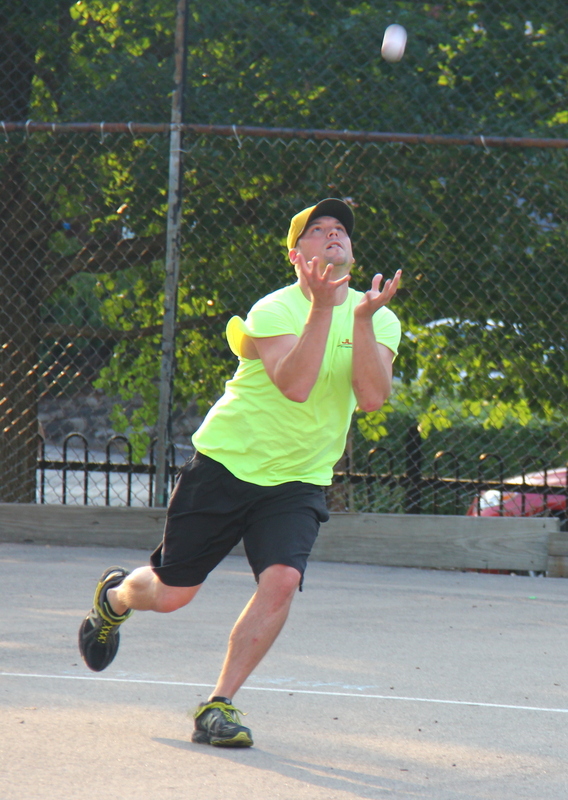 Dustin and Sanders were retired in order, and the Questionable lead remained 6-0. Mike tripled with one out in the bottom of the fifth, making him five-for-five, but Questionable couldn’t score him, as Dustin retired Miller to end the inning and send the game to the sixth. With their backs against the wall, the Slams got on the board, but couldn’t engineer a big rally. Dan led off the top of the sixth with a solo homer to left, breaking up Miller’s shutout bid. Two batters later, Dustin hit a one-out single, but the inning would end shortly after when Miller retired Sanders to strand Dustin, ending the inning and the game with Questionable Outfit winning 6-1. 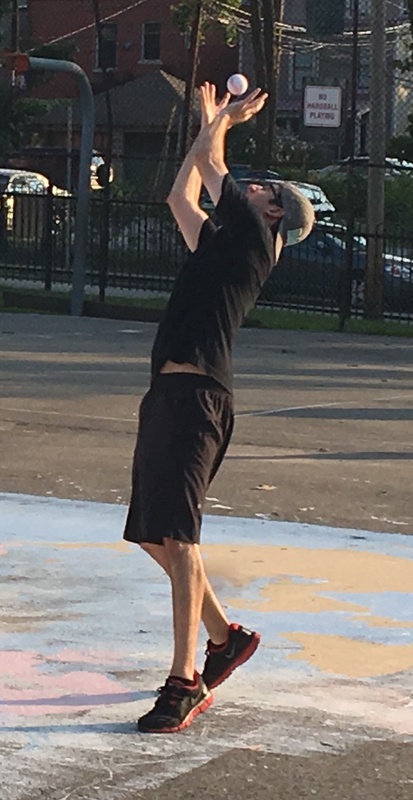 The win moved Questionable Outfit to 14-3 on the season, and the loss dropped the Ham Slams to 9-8. – Miller pitched the complete game win for Questionable Outfit, allowing one run on four hits in six innings. – Dustin took the loss for the Ham Slams, giving up six runs on eleven hits in five innings. – Mike led Questionable Outfit on offense, going 5-for-5 with a single, a double, two triples, a home run, two runs scored, and two RBI. – Levi Sanders led the Ham Slams at the plate, going 2-for-4 with a single and a triple. 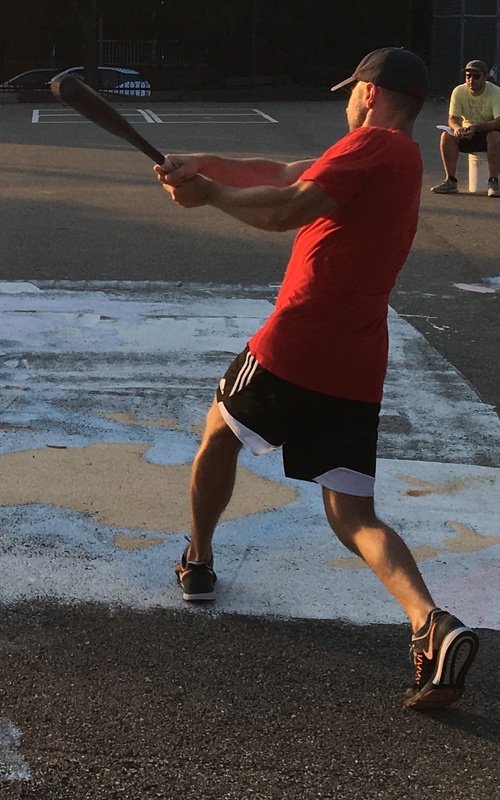 Joey went 5-for-7 with a double and four homers and pitched the complete game win, as Cookies & Cream topped Questionable Outfit 9-6 and forced a potential tie-breaking matchup between the two teams next week to decide the 2016 pennant. Tom took the mound for Questionable Outfit, and Cookies took an early lead in the top of the first. Blose doubled with one out, and Joey followed with a two-run homer to left. Dinger then doubled, but Tom retired Guthrie to strand the runner and end the inning, and the score was 2-0. Cookies & Cream penciled in Joey as their starter, and after allowing a one-out single to Tom in the bottom of the first, he got Miller to fly out to the mound, ending the inning. Blose started the top of the second with a double, but Miller, who has become the most dangerous arm in the league, gunned Blose out trying to turn the double into a triple, and Tom had the first out of the inning. Joey followed with a double, and Dinger drove him in with an RBI single, extending the Cookies lead to 3-0. Tom then retired Guthrie to end the inning. Bob tripled to lead off the bottom of the second, and he scored when Tom grounded out to left for the first out of the inning. Joey then retired Miller for the second out, and the score was 3-1 through two innings. For the third consecutive inning, Blose doubled, and Joey drove him in with a two-run blast, his second of the game. Down 5-1, Questionable Outfit removed Tom from the mound and brought in Miller from the bullpen. He retired the first batter he faced, Dinger, but the next two hitters, Blose and Guthrie, each singled. Joey came to the plate 3-for-3 with two runners on, but Miller got him to fly out to left stranding both runners and ending the inning. Bob started the bottom of the third with a double, and he scored from second when Tom grounded out to left for the first out of the inning. Miller then flew out to right, and Cookies & Cream led 5-2. Miller gave up a one-out triple to Guthrie in the top of the fourth, but Cookies couldn’t capitalize, as Blose was retired for the second out to strand the runner at third. Bob receives a pitch from Joey. Bob went 6-for-7 with 6 extra-base hits, including 3 doubles, 2 triples, and a homer. Questionable Outfit continued to battle back, and they tied the game in the bottom of the fourth. Bob tripled, and Tom drove him in with an RBI double that cut the score to 5-3. Miller singled to put runners on first and third, and Bob drove in Tom with an RBI double to make the score 5-4. Tom came to the plate with runners on second and third, and he hit a towering sacrifice fly that scored Miller, and Questionable had tied the game at 5-5. Miller was then retired to end the inning. Joey provided his own run support in the top of the fifth, leading off with a solo homer, his third of the game, and Cookies reclaimed the lead at 6-5. Dinger followed with a single, but Miller avoided further damage, retiring Guthrie and Blose to end the inning. Dinger went 4-for-6 with 2 singles, 2 doubles, a run scored, and an RBI. For the fourth consecutive inning, Bob led off with an extra-base hit, and Questionable had the tying run at second. But Joey escaped the bottom of the fifth with the lead, retiring Tom and Miller to strand the runner, and the score remained 6-5. Cookies added some insurance runs in the top of the sixth. Joey led off the inning with a solo homer to left-center, his fourth bomb of the game, and the score was 7-5. Dinger then doubled, and two batters later, Blose hit a one-out two-run home run to center, putting Cookies & Cream ahead 9-5. Miller then retired Joey to end the inning, and Questionable Outfit trailed by four. For the fifth consecutive inning, but started things out with another extra-base hit, this time a solo homer to right that cut the score to 9-6. Questionable couldn’t rally though, as Joey retired Tom and Miller to end the inning, giving Cookies & Cream the win and pulling them to within a game of Questionable Outfit in the standings with one week to play. 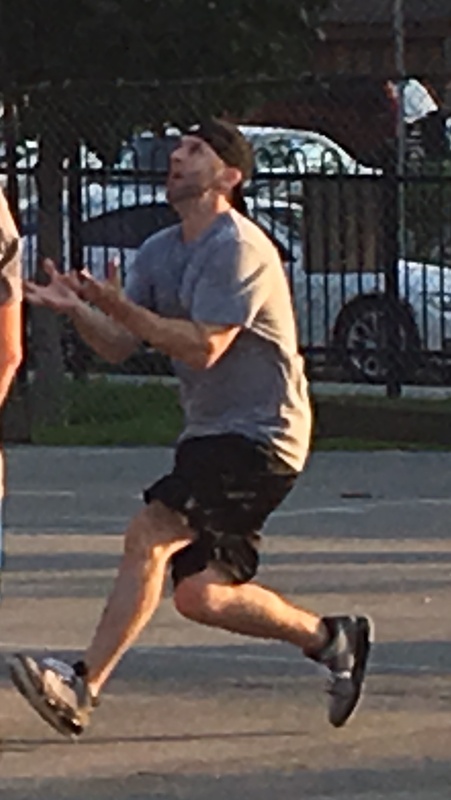 The win moved Cookies & Cream to 13-5, and the loss dropped Questionable Outfit to 12-4. – Joey pitched the complete game win for Cookies & Cream, giving up 9 hits on 6 runs in 6 innings pitched. – Tom started the game for Questionable Outfit and got the no decision, allowing 5 runs on 2 hits in 2 innings pitched. – Miller took the loss for Questionable, giving up 4 runs on 8 hits in 4 innings pitched. – Joey led Cookies & Cream on offense, going 5-for-7 with a double, four homers, 5 runs scored, and 6 RBI. – Blose also went 5-for-7 with a single, 3 doubles, a home run, 3 runs scored, and 2 RBI. – Bob led Questionable Outfit on offense, going 6-for-7 with 3 doubles, 2 triples, a home run, 4 runs scored, and 2 RBI. Despite playing shorthanded, Questionable Outfit racked up 22 hits and Bob hit for the cycle in an 18-7 blowout win over Eastbound & Dahn. Kimble drove in 9 runs, Miller had 5 extra-base hits, and each Questionable Outfit player had at least 7 hits in the game. Questionable Outfit jumped out to an early lead against Eastbound, and they never looked back. Bob led off the game with a double, and he scored from second when Tom hit an RBI single to make the score 1-0. Miller then hit an RBI single, scoring Tom from first to push the score to 2-0. Bob followed with a single, also scoring Miller from first, and the score was 3-0. Tom singled to put runners on first and third, and Miller drove in Tom with an RBI double to make the score 4-0. Christian, the Eastbound starter, finally recorded an out, but Tom followed with a two-RBI single that cleared the bases, putting Questionable ahead 6-0. Miller was retired for the second out of the inning, but Questionable had taken a huge lead. Bob started for Questionable Outfit, and he avoided trouble in the top of the first. Christian tripled with one out, but Eastbound couldn’t get on the board, as Bob retired Dustin to strand the runner. In a very rare occurrence, Christian struck out Bob for the first out of the inning in the top of the second. He then retired Tom for the second out in what would be the only perfect inning for Eastbound in the game. With the score 6-0, Eastbound cut into the deficit in the bottom of the second. Mo Vaughn singled but was caught out trying to advance to second for a double. Nate followed with a single and moved from first to third on a Christian double. Dustin then emptied the bases with an RBI double, making the score 6-2. Bob then fanned Mo Vaughn for the second out of the inning, and Questionable led by four. Questionable would make up some of the runs in the top of the third. Miller singled, and he moved from first to third when Bob followed with a double. Tom then drove in both runners with an RBI double, and the score was 8-2. Miller doubled to put runners on second and third, and Bob drove in a run when he grounded out to right for the first out of the inning. Christian then retired Tom to end the inning, and Questionable Outfit led 9-2. Questionable then turned to the bullpen, bringing Miller to the mound. He retired the first two batters he faced, Nate and Christian. Eastbound found themselves in a deeper hole after the top of the fourth. Miller doubled, and Bob followed with a two-run inside-the-park homer, putting Questionable ahead 11-2. Tom followed with a solo homer, and the back-to-back jacks made the score 12-2. Miller then tripled, and Bob drove him in with his second homer of the inning, another inside-the-park homer fueled by fielding errors. Christian then retired Tom and Miller to end the inning, and Eastbound trailed 14-2. Miller pitched his second consecutive perfect frame in the bottom of the fourth, maintaining the twelve run Questionable lead. Bob tripled to lead off the top of the fifth, but Christian stranded him, retiring Tom and Miller, and the score remained 14-2. Questionable made another pitching change in the bottom of the fifth, bringing Tom to the mound. He retired Nate and Christian consecutively, and Questionable had sent down seven consecutive Eastbound hitters. Questionable added insult to injury in the top of the sixth. Bob tripled to start the inning, and Tom drove him in with a two-run homer, his second blast of the game. Two batters later, Bob hit a one-out triple, and Tom drove him in with an RBI single that made the score 17-2. Miller then tripled, scoring Tom to push the lead to 18-2. Christian retired Bob for the second out of the inning, and Eastbound would head into their final at-bat trailing by sixteen runs. Down 18-2, Eastbound showed heart in the bottom of the sixth. Dustin singled to lead off the inning, and Mo followed with a two-run inside the park homer that made the score 18-4. Nate then doubled, and Christian drove him in with an RBI single that cut the score to 18-5. Christian was called out on the play when he was caught between first and second. Dustin then followed with a solo shot to left-center, and the next batter, Mo, hit a solo homer to right. The back-to-back home runs made the score 18-7, and Eastbound had started a rally. Tom ended it there, however, getting Nate to groundout to left for the second out of the inning, ending the game and giving Questionable Outfit the win. 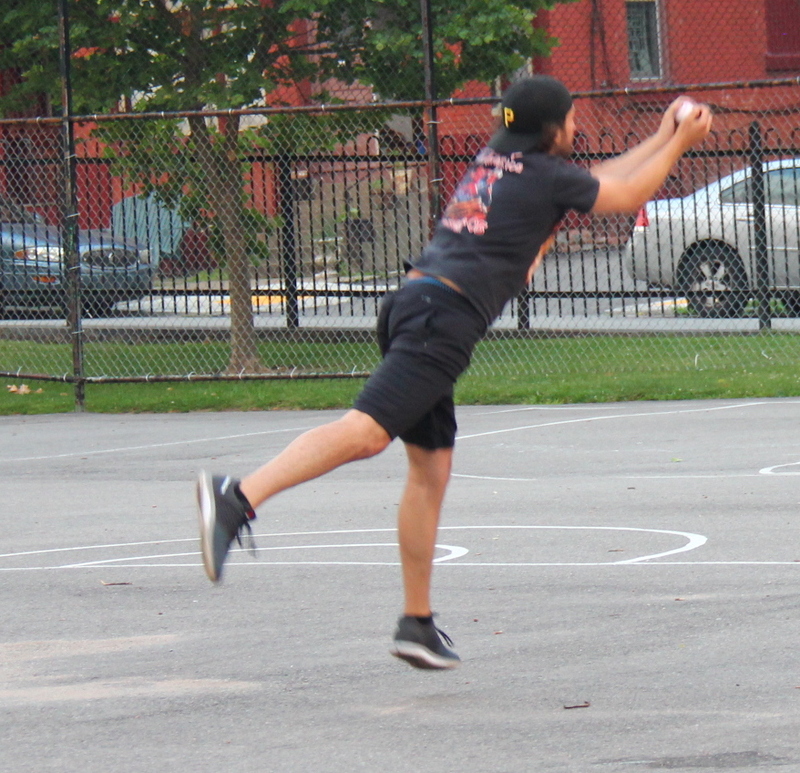 The win moved Questionable Outfit to 14-3 on the season, and Eastbound & Dahn dropped to 1-16. – Bob earned the win for Questionable Outfit, pitching 2 innings, allowing 2 earned runs on 5 hits and striking out one. – Nate and Tom each pitched 2 innings of relief for Questionable. Nate was perfect in relief, pitching 2 innings of no-hit ball with no earned runs. Tom allowed 5 runs on 6 hits. – Christian took the loss for Eastbound, giving up 18 earned runs on 22 hits and striking out one. – Bob led Questionable Outfit on offense, hitting for the cycle while going 8-for-12 with a single, 3 doubles, 2 triples, 2 homers, 7 runs scored, and 6 RBI. – Tom went 7-for-11 with 4 singles, a double, 2 home runs, 9RBI, and 6 runs scored. – Dustin led Eastbound & Dahn at the plate, going 3-for-5 with a single, a double, a home run, 2 runs scored, and 3 RBI. 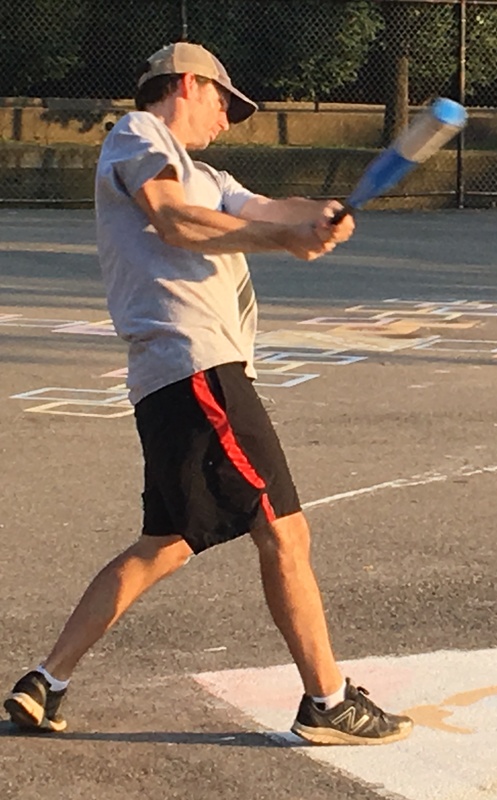 In a back-and-forth game, Tim went a perfect 5-for-5 at the plate and hit for the cycle as the Ham Slams took the lead for the first time in the bottom of the fifth and held on to beat Eastbound & Dahn 7-5. Josh started for the Ham Slams, and Eastbound & Dahn hit him hard in the top of the first. He struck out the first batter he faced, Nate, but the next four batters would each score runs. Christian doubled and moved to third on a Dustin single, putting runners on the corners. Darren Daulton then singled, scoring Christian to put Eastbound ahead 1-0. After fanning in his first at-bat, Nate redeemed himself, hitting a towering three-run homer to left, and Eastbound led 4-0. Josh then retired Christian to end the inning, but Eastbound had pulled ahead by four runs early. Nate took the mound for Eastbound, and Josh led off the game with a triple for the Ham Slams. Tim then doubled, scoring Josh to cut the score to 4-1. The Slams had a runner on second with no outs, but Nate buckled down, retiring Dan and Dave to end the inning and strand the runner. Josh cruised through the top of the second, retiring the side in order. The Slams would cut further into the Eastbound lead in the bottom of the second. Tim tripled with one out, and Dan followed with a two-run blast, which cut the score to 4-3. Nate then retired Dave to end the inning, and the Eastbound lead had been trimmed to a run. Nate and Christian each singled to start the top of the third, and Eastbound had two on and no outs. But Josh avoided damage, retiring Dustin and Darren Daulton to strand both runners and end the inning. The Slams would tie the game in the bottom of the third when Tim led off the inning with a solo homer, which made the score 4-4. Nate retired Dan to end the inning, and the game was tied at the midway point. Josh rolled through the top of the fourth, sending Nate and Christian down consecutively. Dave doubled to lead off the bottom half of the inning, but he was caught out by Christian when he tried to extend the double to a triple. Nate then retired Josh for the second out, and the game remained tied. Eastbound would pull back ahead in the top of the fifth. Dustin doubled, and two batters later, Nate hit a one-out double into the tree, scoring Dustin and putting Eastbound on top 5-4. Eastbound couldn’t plate any additional runs, as Josh retired Christian to strand the runner at second. Down 5-4, the Ham Slams would take their first lead of the game in the bottom of the fifth. 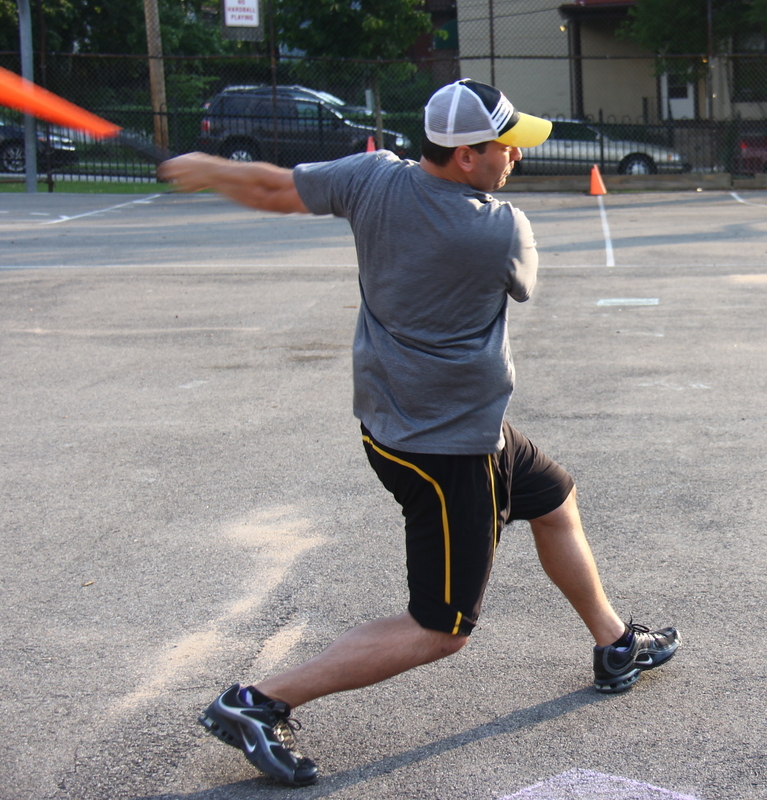 Tim singled, completing the cycle in his first four at-bats. Two batters later, Dave hit a one-out triple to score Tim, tying the game at 5-5. With the go-ahead runner on third, Josh took care of business and provided his own run support, hitting a two-run shot to right, which put the Ham Slams ahead 7-5. Tim then doubled, but Nate avoided further trouble, as Dustin made an outfield assist, catching Tim between second and third trying to extend the double into a triple. Down 7-5, Eastbound tried to rally in the top of the sixth. Darren Daulton singled with one out, but Josh stranded the runner, retiring Nate to end the game, giving the Ham Slams a 7-5 win. 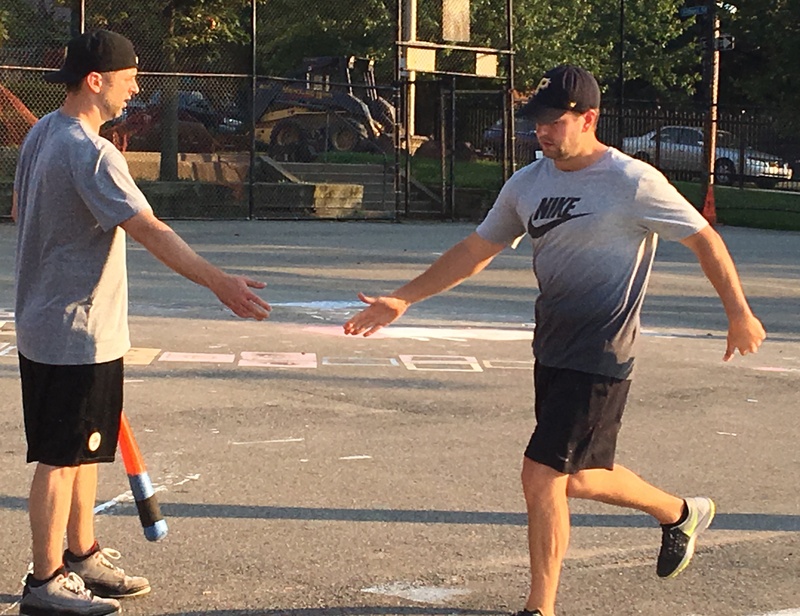 The win moved the Slams to 8-10 on the season, and the loss dropped Eastbound & Dahn to 1-17. – Josh pitched the complete game win for the Ham Slams, allowing 5 runs on 9 hits in 6 innings, striking out one. – Nate took the loss for Eastbound, giving up 7 runs on 10 hits in 5 innings. – Tim led the Ham Slams at the plate, going a perfect 5-for-5 with a single, 2 doubles, a triple, a homer, 3 runs scored, 2 RBI, and hit for the cycle for second time this year and the fourth time in his career. – Nate led Eastbound & Dahn on offense, going 3-for-6 with a single, a double, a home run, a run scored, and 4 RBI.